> How Do Attorneys Deal with Friends Who Have Legal Questions? How Do Attorneys Deal with Friends Who Have Legal Questions? We asked attorneys throughout the country how they deal with friends who have legal questions. Some of their friends might ask them for their opinions regarding legal issues. How do these attorneys respond to their friends? Check out their answers below. I know I get hit up on social media and in the real world all of the time for legal advice. For the most part, I encourage people to come into the office just to dissuade some long talks at inopportune times. I also send lawyers elsewhere if it is not in our practice area fairly quickly with a nice recommendation, such as "Call Rick. He's one of us and is great at that type of case." As for law students, I had no idea entering law school what I would be doing upon my exit. Law schools make you take a little bit of everything in order to prepare you for the Bar exam and expose you to what's out there. In this day and age, unless you are passionate about a finite area or at the top of your class, you have few options except to go where the jobs are. Being an attorney and getting requests for free legal advice from friends is 'par for the course' and simply part of being a licensed attorney. Obviously, the depth of the relationship is a key criteria for whether the request is in good form or bad form. If it's a good friend who occasionally refers clients my way or reciprocates with advice, and/or does not generally abuse the privilege, then I'm fine with giving advice. However, requests that will require extensive research, time or allocation of resources, even from good friends, need to be explained as non-viable requests. At the end of the day a lawyers trade and practice is the giving of legal advice and no one should be expected to dispense their wares at a loss. Always respect the friend's privacy. Every time you are consulted as an attorney and provide advice, you are in an attorney-client relationship and all discussions are privileged. That means the friend ("client") can disclose the communications to others, but you cannot. This rule must be followed, even with friends. They (and other friends) deserve this and will respect you for it. Even though we all want to help out a friend, it is better to say "I don't know" than it is to try to help in an area where you are not sufficiently knowledgeable, make a mistake and then have to say "I'm sorry." So, if it is a serious or significant legal matter, refer them to someone else and offer to consult with them informally; while they may not like that as much as if you helped them; it will be better in the long term. If the matter will take a significant amount of time, be clear up front as to payment. You do not want to ruin a friendship by billing someone who thinks you are working for free or building up resentment by working a significant amount of time without pay. The key is to be clear up front so everyone is on the same page. Treat the matter as a paying client - in other words, keep the client informed, do the work timely, and otherwise treat your friend like a client. This will best protect your friendship. It never fails - you're at a family event, neighborhood barbecue or getting a happy hour cocktail and someone finds out you're an attorney. Inevitably, the questions start. Most frequent areas of inquiry Domestic relations, landlord tenant, DUI and personal injury. When I am asked questions I simply explain that I am in a boutique reinsurance practice and have no idea how to answer their questions without doing some damage. I do, however, offer to get them some names of attorneys who can handle their issue. Unfortunately, if the person is unhappy about the outcome of their matter, I usually have to hear about it. Never mind that they blew a .30 and ran off the road. They can't understand why their attorney couldn't beat the charges. So, I have to hear complaints about referring them to the 'wrong attorney'. So, now, except for very limited circumstances, I simply advise them that I am a reinsurance attorney and have been for 25 years. People seem to think that an attorney is an attorney and all attorneys are well versed in all areas of law. I then give them a simple example to explain why I can't help them - "If you were having severe headaches, would you go to a neurosurgeon or a proctologist I'm the proctologist." Most people get it at that point. Bazil McNulty - the international law firm that focuses on reinsurance. I'm an attorney in Chicago with over 35 years' experience. The simple answer to your question is: I answer them, if I can. Especially if it's a relatively simple question. If not, then depending on the situation, I might refer them to someone who can. Or if it's important (as opposed to a casual question in conversation) and they are willing to pay me to do so, I might research the issue first. I've found that friends appreciate the "free" advice, and if they have a business, or are in some situation where they need other legal services, they'll generally contact me when it becomes something for which they would expect to pay. I have several friends who have become clients, and clients who have become friends. Implicit in your question is that it is somehow an imposition for a friend to ask me a legal question. Generally, I don't feel that it is. To me, it's not much different than if I call a friend who's a plumber, and ask how to fix some simple problem, or call my accountant's office and ask the current mileage rate that the IRS allows for business travel. In my case, I am happy to answer general legal questions for friends and family - usually with about the level of answer they might expect by searching online. For very close friends, I might even do a little research, find them documents, and point them in the right direction. Normally this is fairly incidental to my other work. I also have a much-reduced friends-and-family rate that I charge when actual legal work is required. It's just under half of my normal rate. Sometimes I do not extend my F&F rate. Recently, a friend consulted with me about a legal situation and I disagreed with what he wanted to do. What he wanted was appropriate and proper, but in my opinion it fed into a fight and was better handled diplomatically. He asked how much I would charge to fight for him. I quoted him a flat fee based upon my full rate. If he wanted someone to engage diplomatically, I would have worked for my F&F rate. Because he wanted to make it a fight I believed unnecessary, I was only willing to do that for my full fee. My close friends and family look up to me to help clarify employment questions, especially ones that deal with the law. There's nothing wrong with giving legal advice, but just be careful about sharing too much information. Employment Lawyer at Abrams Fensterman. Sharon has been giving legal advice to her friends and local TV. Sharon has been featured in USA Today, Bloomberg and seen on Fox's Good Day Rochester. I am a divorce attorney practicing in Cambridge, MA. As you might imagine, the types of issues people might ask me about are very sensitive in nature. Nonetheless, friends and family do ask me for advice from time to time. In one instance, I agreed to represent a parent from my children's school. Never again! As a former "big law" lawyer now with his own practice, I have gotten many requests from friends and family over the years. I learned quickly that a lawyer must treat such clients as any other client -- this means getting a retainer up front and generally keeping emotions out of discussions. Of course, if it is a simple "cocktail party" type of question, it is always fun to help explore legal options outside of the office setting. But once something develops to more than "I have a simple question," and "Here's how I would tell my client to approach that," an experienced lawyer should handle any further work as they do a regular client. Otherwise the friend/relative will consume the lawyer's time (and a disproportionate amount of it) if there are no boundaries to the scope of work (e.g., charge the client for billable hours). 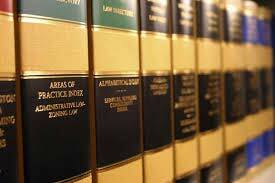 I've had to deal with friends asking for legal advice a few times, and my best advice to any attorney dealing with the same problem is to do your best to answer their questions quickly and efficiently, but to preface your answer by reminding them that any answer to a legal problem is highly dependent on whatever area of the law they are having trouble with. I would normally give my friends ideas to think about, without giving a specific answer. Oftentimes, there was no specific answer anyway! But I always made sure to recommend another attorney who I knew practiced in the area they were concerned about. Deborah graduated with her J.D. from Pepperdine and, before acquiring MyCorporation, she was a practicing attorney in intellectual property law. From an ethical standpoint, you want to be extremely careful about answering legal questions that are posed by your friends. The last thing you want is for a friend to rely on something you told them that ends up being inaccurate. I have seen this one too many times in a bar setting where numerous alcoholic beverages are influencing the way in which an attorney is answering his/her buddy's questions. Providing answers that are inaccurate may lead to a break in your friendship, or worse, a malpractice claim. For the reasons stated, I almost always answer legal questions posed by friends with three words: "I don't know." I have found that it is not only easier, but actually much safer to refer the individual to a person that specializes in the area that the friend is asking about. The only time I attempt to answer the question is when a friend is asking about my specific area of expertise. Even then, I have referred them to a colleague to avoid the issues that were mentioned above. If you have any doubt about the question that is being asked, I would strongly suggest that you tell your friend that you do not know the answer or refer him/her to someone that does. If a friend starts asking me about personal legal questions, I usually begin by asking whether he's asking me as a friend or as a lawyer. With this, I can usually gauge how serious of a conversation might need to follow. I also get a basic idea of what sort of legal subject matter is involved if it isn't already apparent. If he says he's asking as a friend, then I make sure my comments indeed remain as simple, friendly remarks that don't approach any sort of legal advice. However, let's assume the friend stated he's asking me as a lawyer. Before going further, it's important to assess the situation and whether it's appropriate to proceed. A friend calling for advice is much different than someone asking in a casual group setting. The latter is best to brush off, letting the friend know that it's not the best time or place, but he can feel free to call me and continue the conversation again later if he's serious. A lot of times in those instances, the friend's follow up call will never happen. The legal questions were either more of a fleeting theoretical matter, or perhaps the friend might have realized with time that it might not be appropriate to bother me with serious legal issues unless he was also serious about seeking me out as his attorney. The good thing about this approach is that since the friend said he was asking me as a lawyer, he knows that my responses need to be respected as lawyerly rather than evasive. If a phone call or more formal conversation does follow, then along with such formality it is much easier to communicate that if the friend wants real advice, then an official attorney-client relationship is going to be necessary. I listen to their inquiry and try to gather as many facts as possible from them. This helps us to limit the issues. If it is not a matter that I can personally handle, I will refer them to a trusted colleague for a consultation. We have to deal with those situations very carefully since even 'conversational legal advice' can subject attorneys to legal malpractice claims. In most situations where friends do ask for my legal advice, I answer their question in a general sense without addressing the specifics of their situation. If they require more information then I ask them to consult with me outside of a social environment. Alfonso Cabañas is the managing attorney of Cabañas Law Firm, PLLC, in San Antonio. His practice focuses on business immigration and business transactions with a focus on U.S. companies investing in Mexico and Mexican companies investing in the U.S. He has served as TYLA vice president, chair, and as a director from 2008-2010. He is a member of the Long Range Planning Committee and has served as vice chair for the National Trial Competition. He is a recipient of a TYLA President's Award of Merit and was named Outstanding Director of the Year in 2007-08. Cabañas is a former president, vice president, and board member of St. Mary's Hispanic Law Alumni. He served on the San Antonio Young Lawyers Association Board, and is a member of the State Bar Hispanic Issues Section. He has volunteered for multiple TYLA public service projects, including serving as co-producer and Spanish translator for "The Little Voice" and "Healing the Wounds." He earned a B.B.A. from Baylor University and a J.D. from St. Mary's University School of Law.